At this year’s Dutch Design Week (October 20-28), designers considered how furniture can support users’ bodies and mental states to improve the experience of being within an office environment. We unpack our favourite examples. Dutch designer Angela Willemsen explored how the shape of a room can affect one’s experience of space. 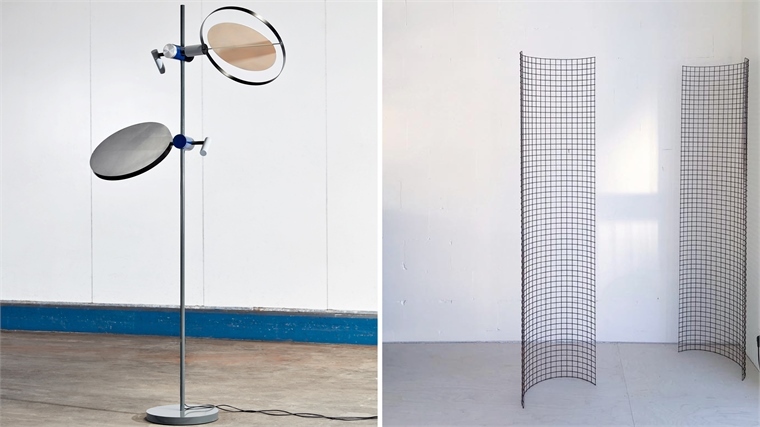 Her curved room dividers, made from metal grids, sit in the corner of a room and soften the impression of space, evoking a sense of comfort and security. Eindhoven-based Studio Joachim-Morineau created Séole, a heating and ventilation system featuring two large round discs perched on long poles that protrude from a weighted base. One disc radiates heat, while the other rotates to create a wind stream for cooling. The design creates a micro climate, letting users adjust heating and cooling effects to suit their individual preferences. 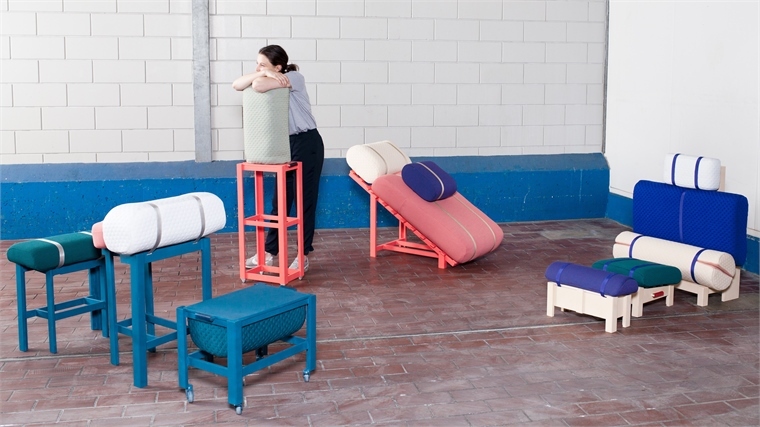 French designer Geoffrey Pascal created an ergonomic modular seating collection that enables users to work comfortably without a desk. The upholstered seating positions the body in poses that mimic those adopted when working from bed, with work placed on a cushion or their lap. Pascal used Nasa’s neutral body posture – identified as the ideal position for rest and concentration – as a guide to ensure that each seat evenly distributes muscle weight. 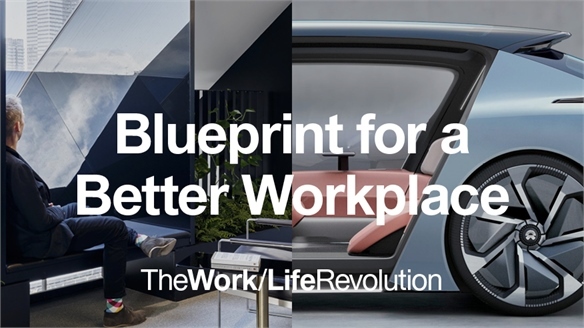 For more on how design is adapting to changing attitudes in professional environments, see Blueprint for a Better Workplace. See also our full coverage from this year’s Dutch Design Week. 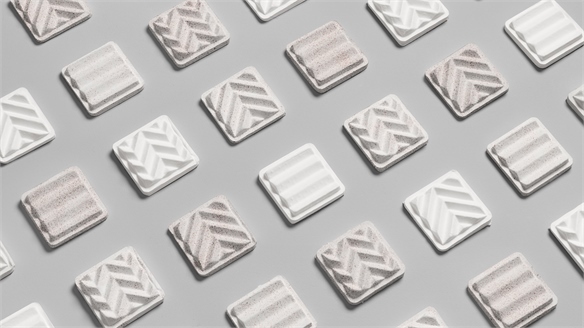 Acoustic Panels Made with Biomaterial & Biomimicry Biomaterial Acoustics Mimic Nature Swedish acoustic product brand Baux has developed a pioneering new biomaterial for its latest range of panels. Using biomimicry and cellulosic fibres from recycled streams of Swedish pine and spruce trees, the biodegradable Acoustic Pulp panels are the company’s first 100% bio-based product. 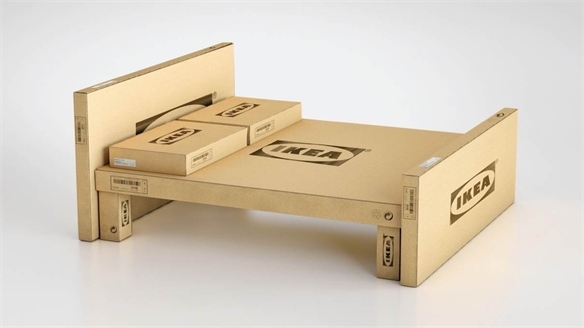 Ikea Launches Furniture Rental Scheme Furniture Rental Goes Mainstream Ikea is launching a new scheme that allows customers to lease product, rather than purchase it. 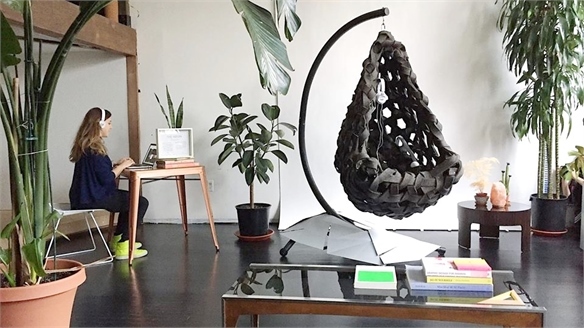 Part of the brand’s commitment to creating a circular business model, it’s set to reduce carbon emissions by 15% and bring furniture rentals into the mass market. 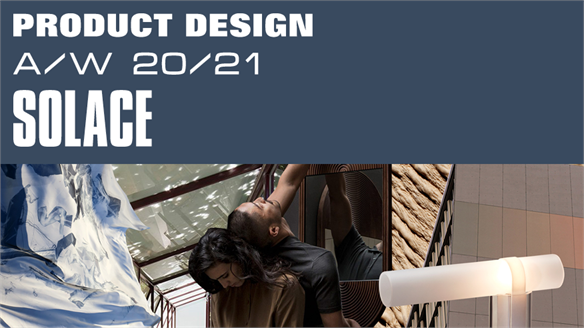 Design Directions A/W 20/21: Solace Product Design: Solace Solace promotes a holistic approach to wellness and embraces the fickle nature of human emotion. Design is explored as a vehicle to influence how we feel, in response to a consumer in search of healing. Advancing the nourishing bonds with our belongings detailed in our S/S 20 Design Direction Journey, Solace modifies moods through strong visual contrasts and materials with emotional qualities. 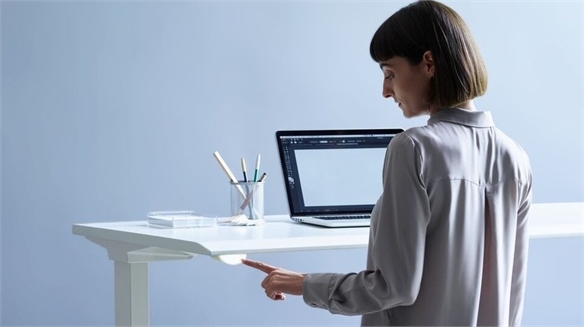 Top Three New Space-Saving Furniture Designs Top 3: Space-Saving Furniture Designers are continuing to invent new ways of hacking furniture and spatial configurations to maximise urban living environments. Building on our report Smarter Spaces: Optimising the Home, we reveal three new designs that uncover storage opportunities hidden in, above and below the domestic space. 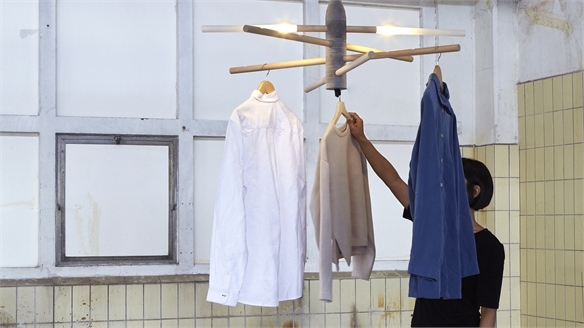 Creative Disruption at Dutch Design Week 2018 Creative Industrial Design At Dutch Design Week this year (October 20-28), material suppliers and manufacturers gave designers free reign over their processes and products, leading to new and unexpected applications and markets. We select three initiatives that caught our eye. 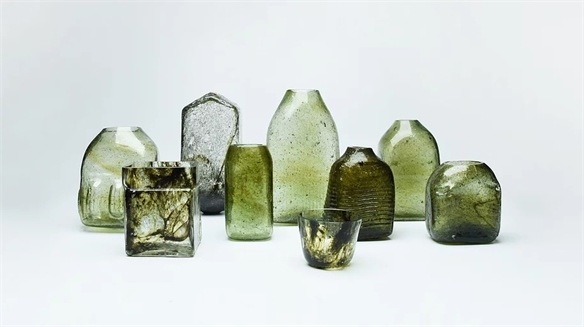 Designers Mine from Waste Streams Mining from Waste Streams Sustainable and untapped resources were key themes at this year’s Dutch Design Week (October 20-28), with numerous designers turning their attention to waste streams as a material resource for new products. We highlight three inspiring projects. What Will the Train of the Future Look Like? 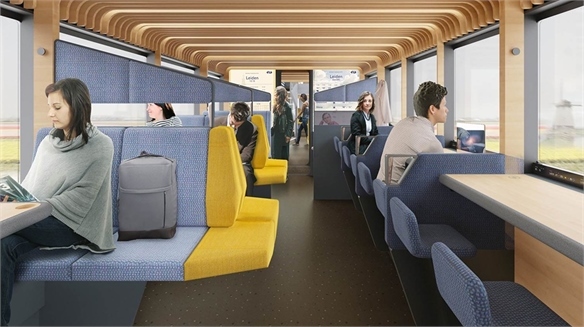 The Train of the Future Public transport networks are enabling consumers to enhance their journey time by offering flexible spaces that blend work, home and transport. During Dutch Design Week 2018, Dutch national railway company NS presented its creative vision for the train of tomorrow. 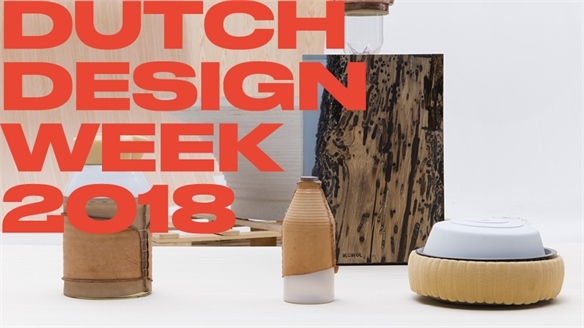 Dutch Design Week 2018 Dutch Design Week 2018 Emphasising experimentation, innovation and crossovers, Dutch Design Week (October 20-28) celebrates pioneering ideas across industries. It also forms a direct reflection of today’s concerns, while presenting solutions by brands and young talent alike. This resulted in a reassuring vision of the future, where sustainability and inspiration go hand in hand. 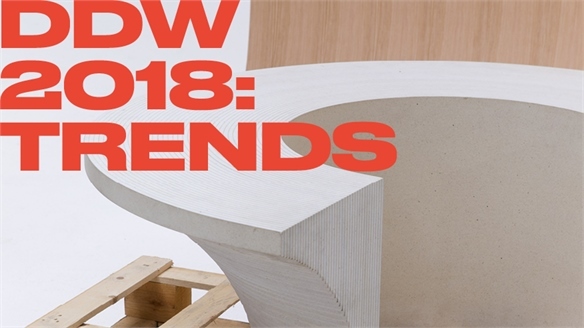 Dutch Design Week 2018: Trends DDW 2018: Trends A direct reflection of today’s concerns, Dutch Design Week showed how creatives and the wider audience are dealing with digital technology infiltrating every part of our lives. Key topics also recognised a critical consumer who demands inspiration, wellbeing, and an integrated approach to sustainability. 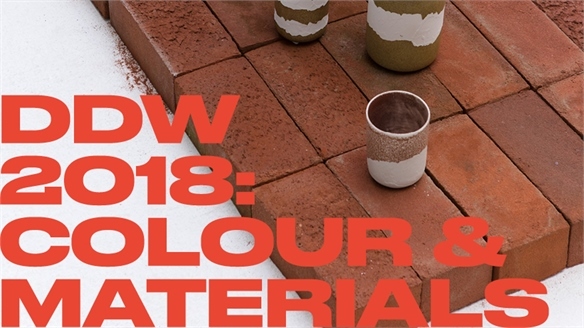 Dutch Design Week 2018: Colour & Materials DDW 2018: Colour & Materials Material use at Dutch Design Week was dominated by a quest for new sustainable resources – whether those were local and natural, or man-made and waste-based. Colour played a minor role, leaving ingredients unmasked to help viewers appreciate the material’s origin and lifecycle. 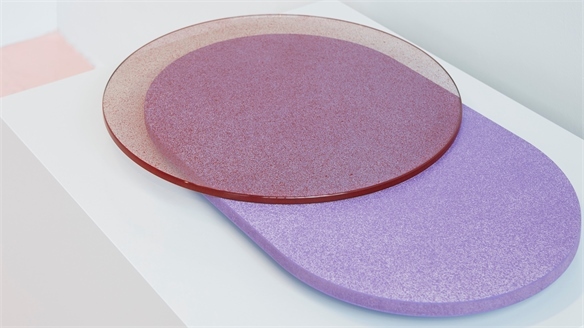 Beijing Design Week Highlight: Sensory Chair Collection Sensory Chairs Engage the Body Furniture is increasingly being considered as a tool to support emotional states as well as the body, with designers employing physically stimulating elements to engage the mind. 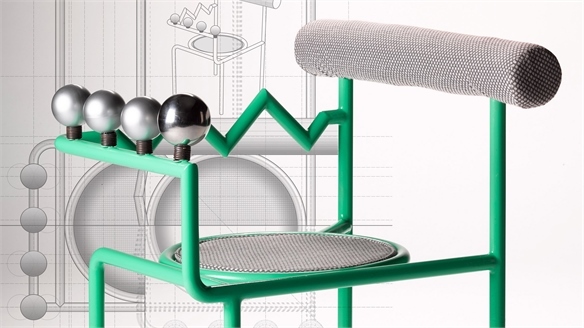 This is illustrated in a new chair collection by Chinese designer Yuming Hu, which explores how sensorial design can help the user achieve improved relaxation, productivity and ergonomic support. 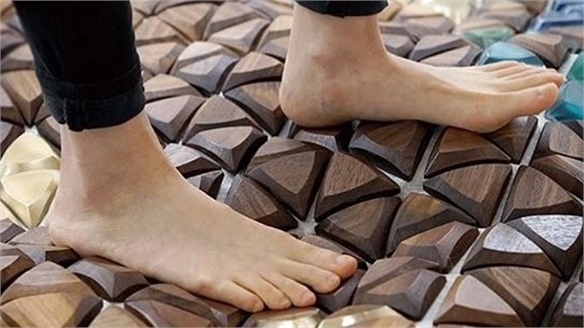 Inflated Floor Mat Boosts Employee Health & Productivity Mat Boosts Employee Productivity Increasing work hours and growing public concern over wellbeing are driving individuals and businesses to invest in improved office ergonomics. UK designer Joonyeon Jo explores the potential of tactility within this environment to improve both user health and productivity. 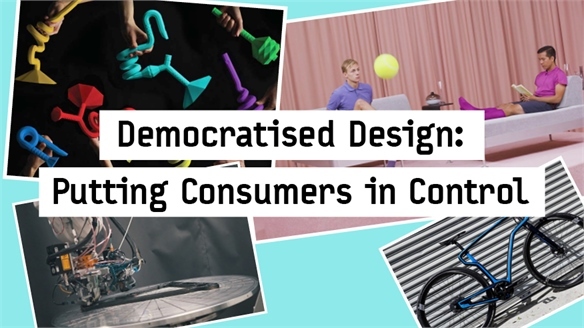 Democratised Design: Putting Consumers in Control Custom Design: Consumers in Control No longer reserved for the luxury market, developments in data capturing, 3D printing, robotic manufacturing and artificial intelligence are bringing personalisation to the masses. Brands are becoming creative partners in the collaborative design process of products tailored to unique tastes, needs and lifestyles, while an on-demand approach offers innovation-driven sustainability. Welcoming Workplace Trends: NeoCon 2018 NeoCon Chicago 2018 NeoCon is North America’s premier event for contract furnishings. 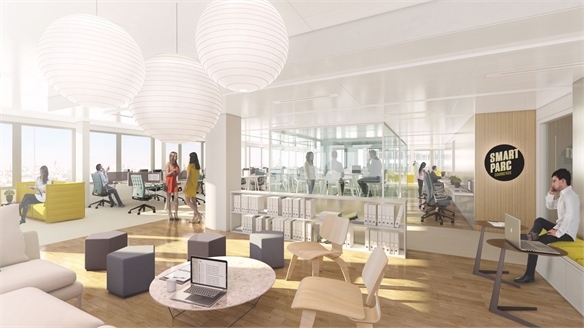 This year, brands unveiled savvy solutions to key challenges in contemporary office design: demand for more quiet and private spaces, desire for casual and comfortable environments, and more ambitious sustainability goals. 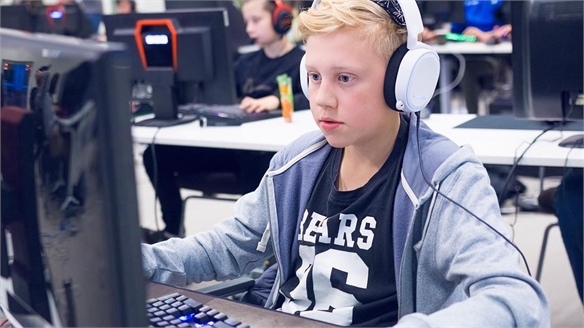 Ikea x E-Sports: Ergonomics for the Gaming Generation Ikea Taps E-Sports Opportunity The Swedish manufacturer has acknowledged the huge influence of e-sports with a new collaboration tackling ergonomic seating design for a generation that sits playing computer games for up to 20 hours per day. The Future Workplace: Worktech 2018 The Future Workplace: Worktech 2018 Worktech's 2018 conference in New York (May 17) gathered architects, engineers and thought leaders to discuss innovations shaping the future of work. We share the key takeaways. The Kokon: Stress-Reducing Office Pod The Kokon: Stress-Reducing Pod The Kokon is a suspended pod chair that employs soothing scents, sounds and vibrations to help workers relax and manage stress. Live OS: Connected Office Furniture for the Future Workspace Live OS: Connected Office Furniture Live OS, a smart furniture system developed by global manufacturer Herman Miller, creates healthier workspaces by collecting real-time data, and making adjustments and recommendations based on employees' needs.